Great for celebrations of any kind! 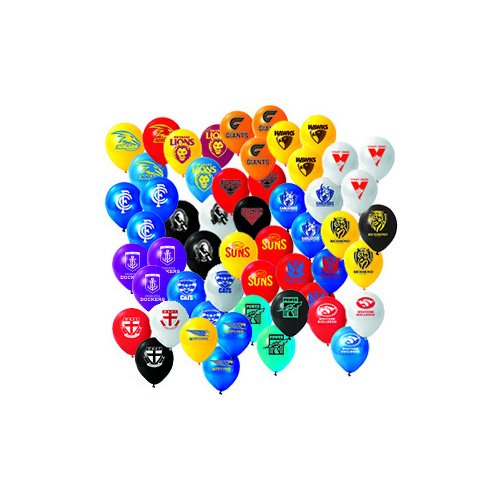 Decorate your next party with a bag of 25 assorted team printed balloons. Each bag contains at least one balloon of each team, with some teams randomly having two per bag. 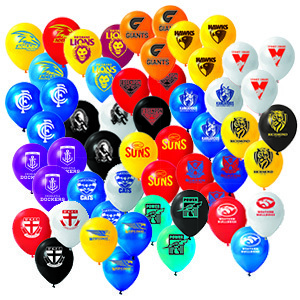 The helium quality balloons are printed with the team's logo on the club coloured balloon, and are perfect for any birthday party, footy function, or Grand Final shindig ! The balloons inflate to a round shape of 28cm, and will stay afloat with helium for approximately 10-12 hours, depending on the environment.